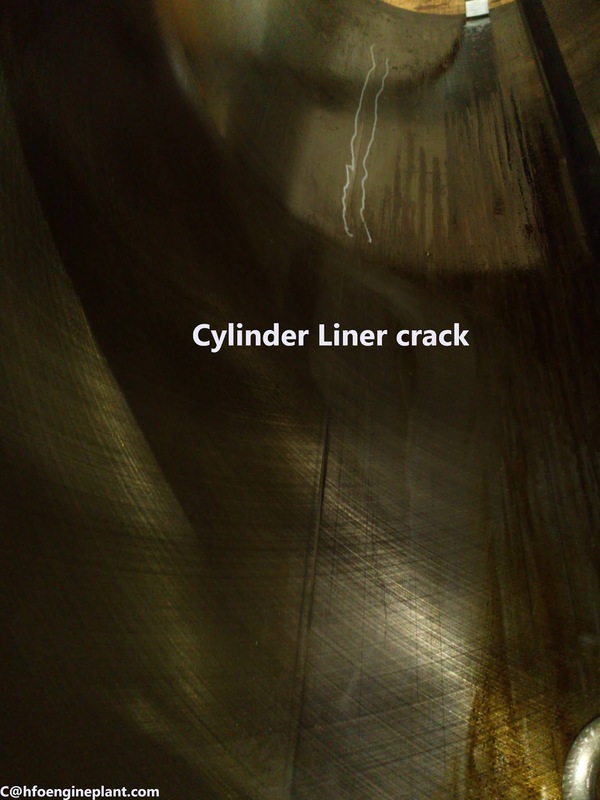 There are several reasons cylinder liner may damage. The problems arise with cylinder liner due to thermal stress, Mechanical stress, wear and corrosion. 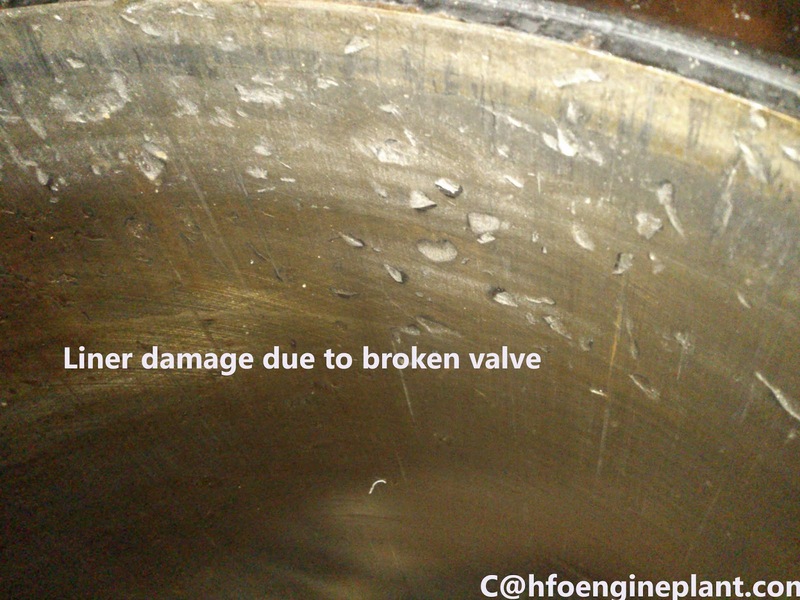 Cylinder liner damage or failure can be prevented by proper operation and inspection of engine. Thermal Stress: Due to the combustion of fuel in combustion combustion chamber huge heat generated (about 500 °C). The HT cooling water temperature around the cylinder liner combustion chamber area is about 95°C. So, there is a huge temperature difference which creates thermal stress. Mechanical Stress: Due to the combustion of fuel the firing pressure produces stress/ thrust all around the cylinder liner wall. For big engine, (such as MAN B&W 48/60 or 51/60) the stress is higher due to bore diameter and firing pressure is high. 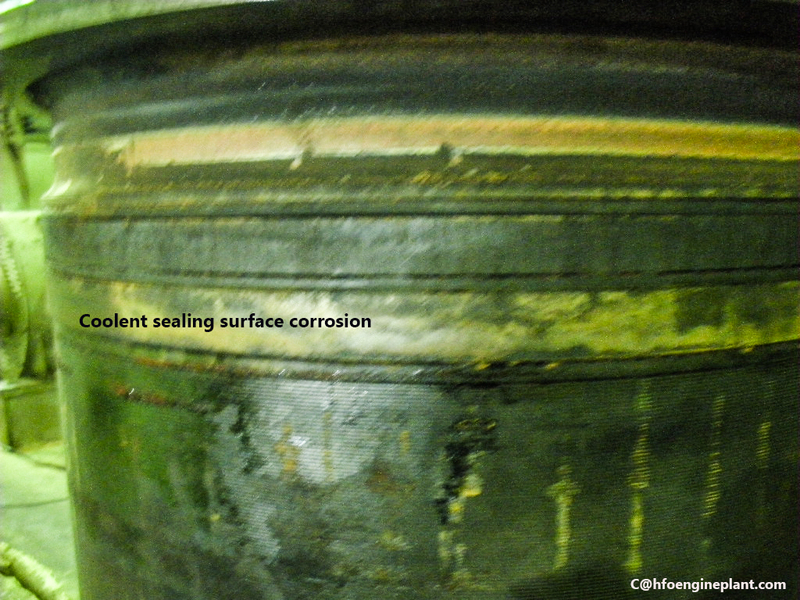 Wear and Corrosion: Cylinder liner inner surface corrosion can be carried out by both hot and cold corrosion. Hot corrosion is the most destructive method of degradation of metal or alloy metal. If the fuel content heavy metal like Venedium more than the allowable limit hot corrosion may occur. 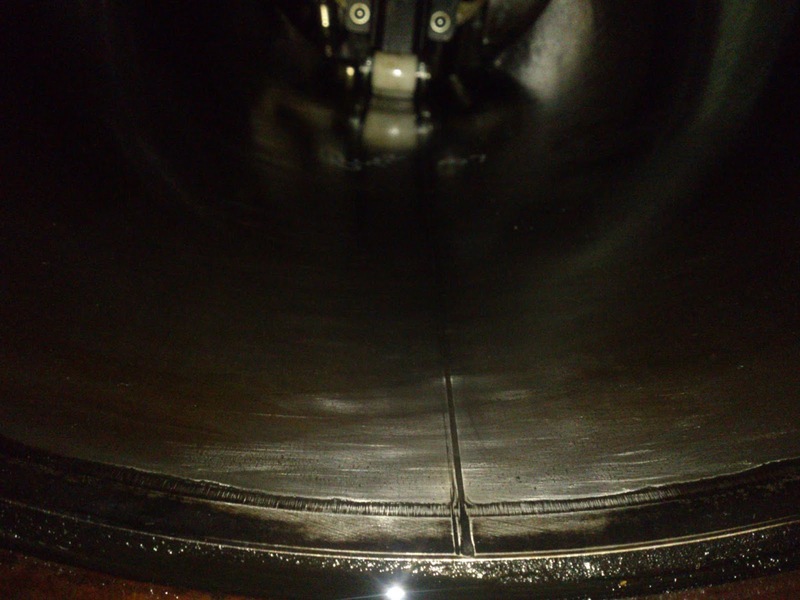 Cold corrosion happened when in the combustion chamber H2So4 forms. Heavy fuel oil contains more than 3.5% of Sulphur by weight. When Sulphur combines with water (charge air content moisture) form Sulphuric acid. Specially when the engine stopped combustion chamber contain exhaust gas and some air fuel mixture. When the combustion chamber temperature falls down, this corrosive mixture accumulates on the cylinder liner wall and cold corrosion occur. Other problems associated with cylinder liner due to related components such as cylinder lubrication, O ring, valves, piston ring etc. failure. If related components fail due to friction and abrasion cylinder liner damaged.